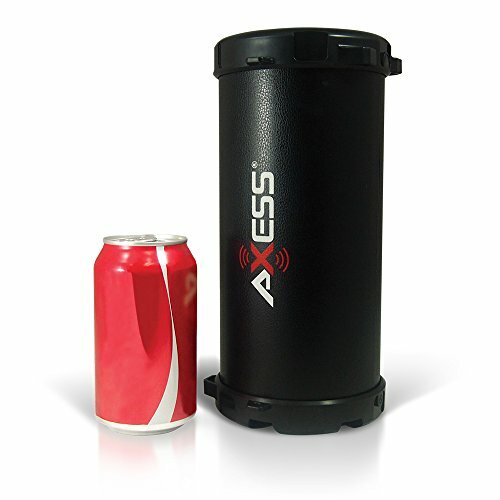 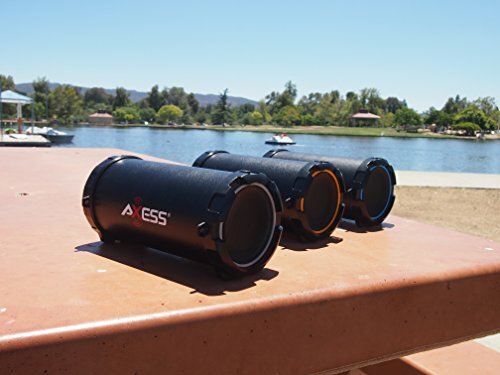 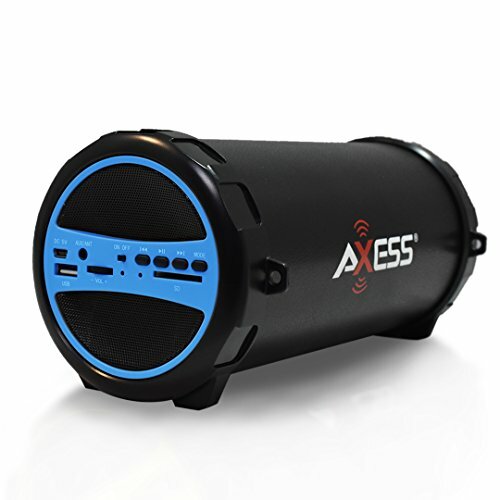 Enjoy your music outdoors wirelessly, with the Axess SPBT1031 Portable Outdoor Hi-Fi Cylinder 2.1 Speaker with Bluetooth. 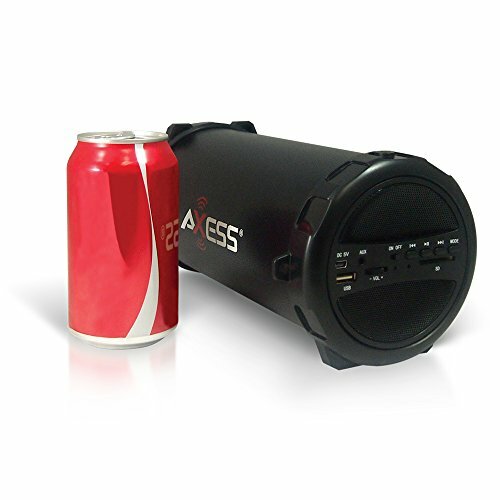 You will be amazed with the clear sound, heavy bass and dynamic sound effects. 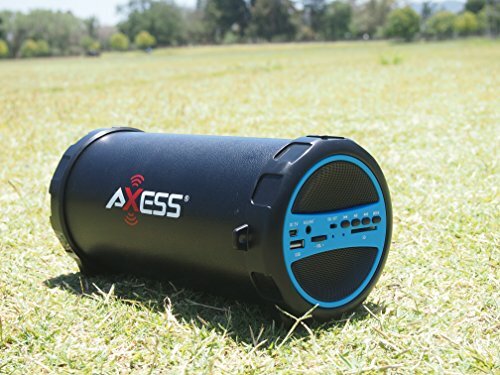 Stream your favorite music from any Bluetooth enabled device, such as your mobile phone, laptop computer, or tablet. 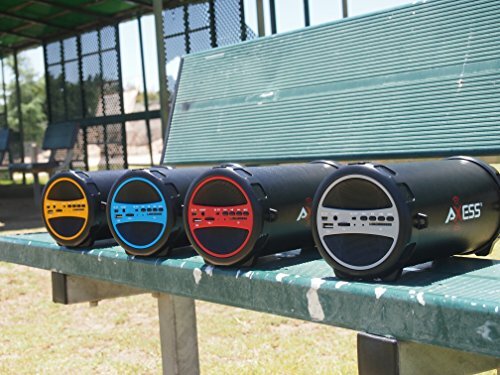 The SPBT1031 comes in a variety of different colors to fit your personality. 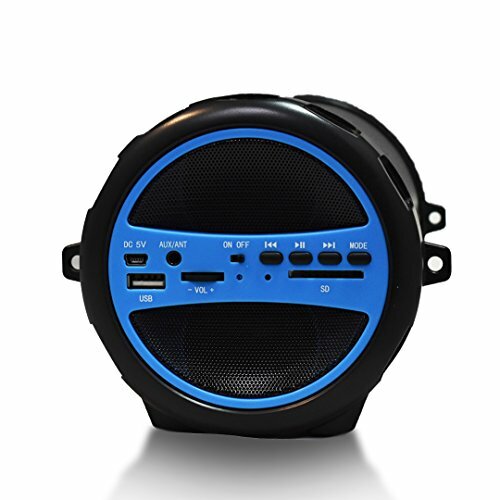 Don’t miss rocking’ out with this great speaker at your home, office or anywhere outside!